The Savior’s gospel and His restored Church give us many opportunities for our light to be a part of the great standard for the nations. 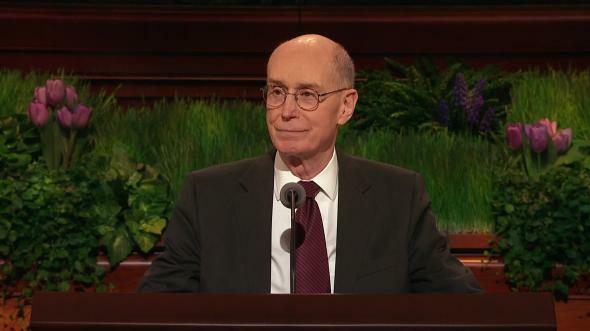 Years ago, while I was serving as a seminary teacher, I heard one of my coworkers ask his students to reflect on the following question: If you had lived in the Savior’s day, why do you think that you would have followed Him as one of His disciples? 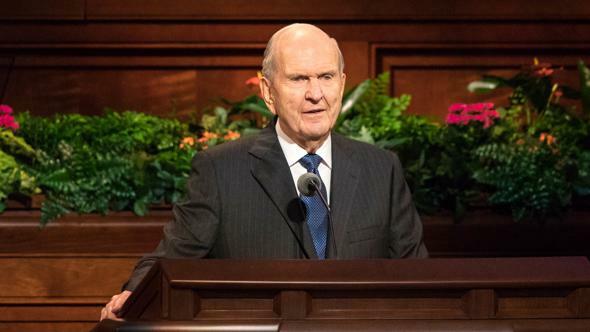 They reached the conclusion that those who follow the Savior in the present day and strive to be His disciples would probably also have done so back then. “Let your light so shine before men, that they may see your good works, and glorify your Father which is in heaven” (Matthew 5:14–16). 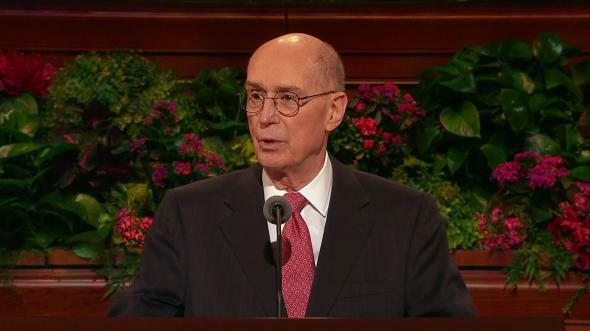 Can you imagine how you would have felt hearing the Savior’s voice? In fact, we do not have to imagine. It has become a constant experience for us to hear the voice of the Lord because when we hear the voice of His servants, it is the same. 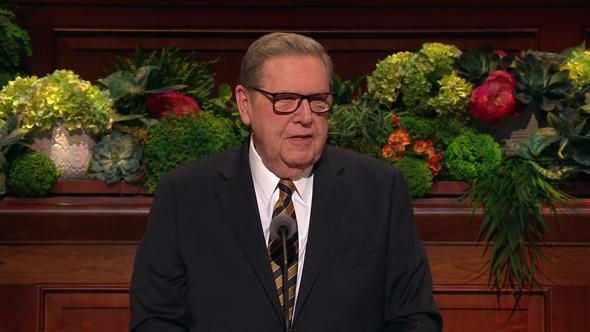 “For thus shall my church be called in the last days, even The Church of Jesus Christ of Latter-day Saints. “Verily I say unto you all: Arise and shine forth, that thy light may be a standard for the nations” (D&C 115:4–5). 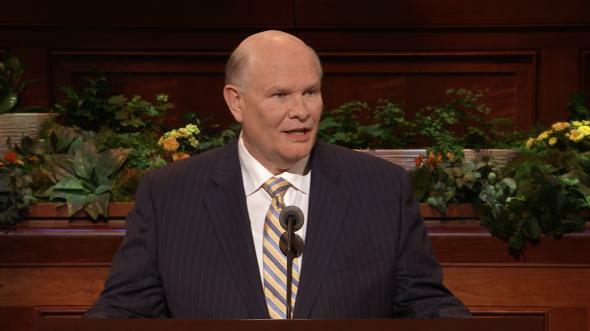 Our days are so extraordinary that they were even shown in a vision to the prophet Isaiah; he too saw and prophesied of this day of the Restoration of the Church of Jesus Christ and of its purpose, saying, “And he shall set up an ensign for the nations, and shall assemble the outcasts of Israel, and gather together the dispersed of Judah from the four corners of the earth” (Isaiah 11:12). 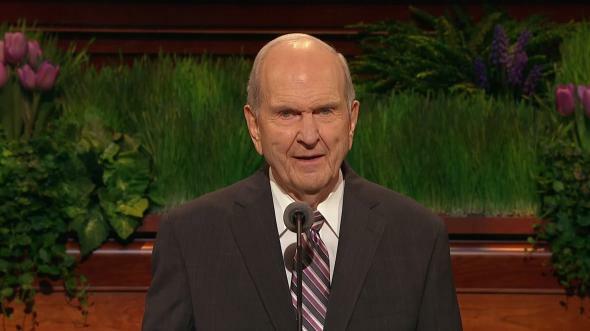 Without a doubt, one of the great standards of these latter days is this magnificent general conference, where the great work and plan of our Heavenly Father “to bring to pass the immortality and eternal life of man” (Moses 1:39) is continually proclaimed. 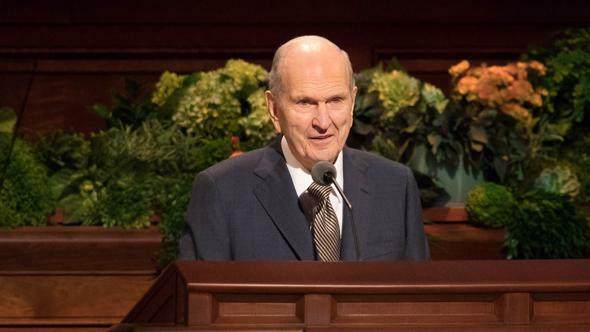 The continual holding of general conference is one of the greatest testimonies to the fact that we as Latter-day Saints “believe all that God has revealed, all that He does now reveal, and we believe that He will yet reveal many great and important things pertaining to the Kingdom of God” (Articles of Faith 1:9). 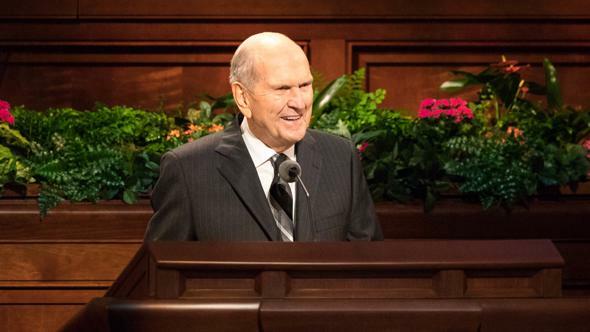 What, then, has the Lord revealed through President Thomas S. Monson that we need to continue doing so our light can be a standard for the nations? What are some of the important things to be done in this brilliant moment of building up Zion and of gathering Israel? The Lord has always revealed His will to us “line upon line, precept upon precept, here a little and there a little” (2 Nephi 28:30). 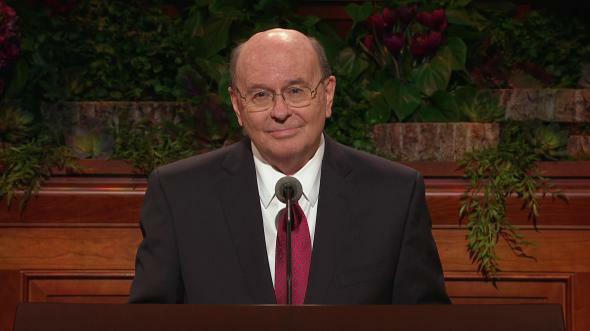 Therefore, we should not be surprised by what may seem like small things because of their simple and repetitive nature, for the Lord has already counseled us, telling us that “blessed are those who hearken unto my precepts, and lend an ear unto my counsel, for they shall learn wisdom; for unto him that receiveth I will give more” (2 Nephi 28:30). 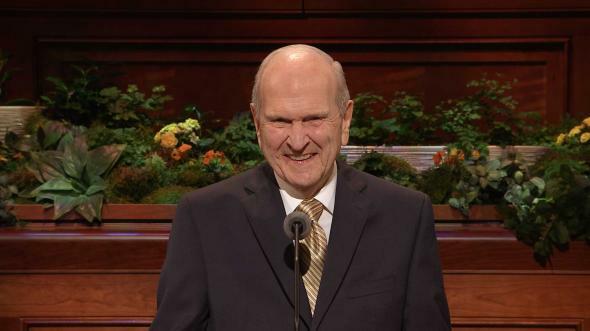 I testify that by learning “line upon line, precept upon precept, here a little and there a little” and by hearkening to our leaders’ counsel, we will have oil for our lamps that will enable us to give light unto others as the Lord commanded us. 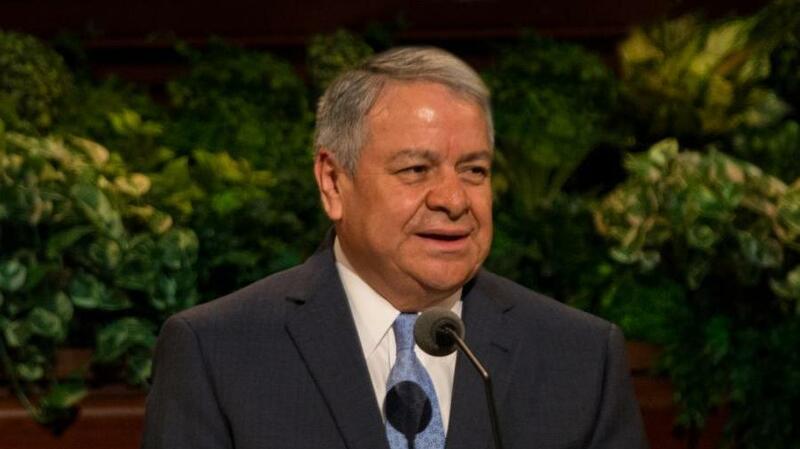 While there are many things we can do to be a light and an ensign to others, I would like to focus on the following three: observing the Sabbath day, hastening the work of salvation on both sides of the veil, and teaching in the Savior’s way. The light that we are talking about comes from the devotion that we give to Sabbath day observance, in the Church as well as in the home; it is the light that grows as we keep ourselves unspotted from the world; it is the light that comes from offering up our sacraments on His holy day and from paying our devotions to the Most High—all of which enable us to always have His Spirit with us. 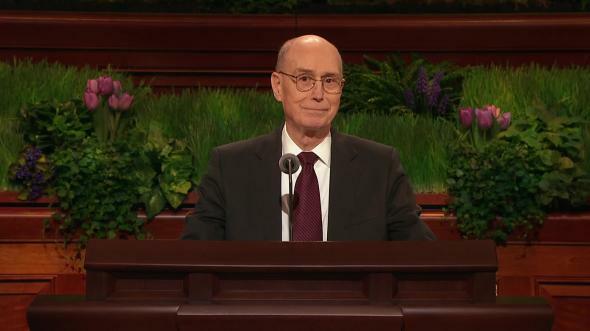 It is that light that grows and becomes visible when we return home with the feeling of forgiveness that President Henry B. Eyring spoke about in this past October general conference when he said: “Of all the blessings we can count, the greatest by far is the feeling of forgiveness that comes as we partake of the sacrament. 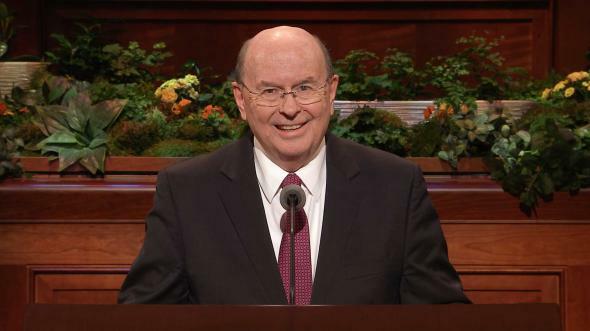 We will feel greater love and appreciation for the Savior, whose infinite sacrifice made possible our being cleansed from sin” (“Gratitude on the Sabbath Day,” Ensign or Liahona, Nov. 2016, 100). 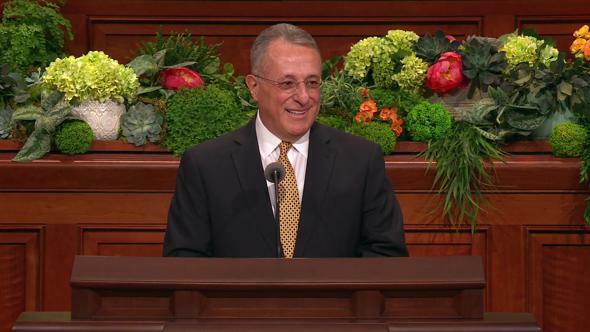 As we keep the Sabbath day holy and partake of the sacrament, we are not only cleansed, but our light also grows brighter. Our light also grows as we dedicate and consecrate time to finding the names of our ancestors, taking their names to the temple, and teaching our family and others to do the same. 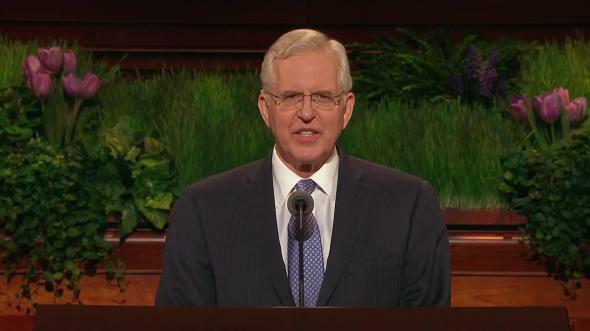 This sacred temple and family history work that we share with the Saints on both sides of the veil is moving forward more than ever as the Lord’s temples are being built. 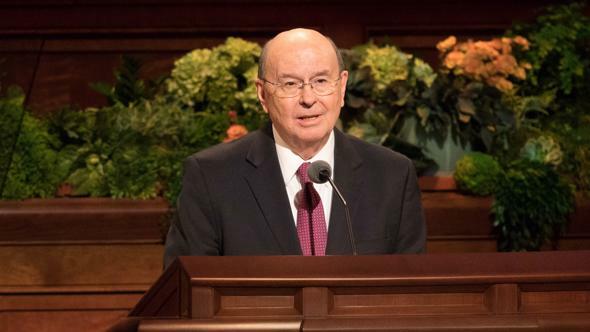 Now that the temples have special schedules for family groups who come with their own family name cards, my wife and I have had delightful experiences as we have served in the temple together with our children and our grandchildren. When we find and take names to the temple and teach others how to as well, together we shine as an ensign or standard. Learning to teach as the Savior taught is another way we can rise and shine. 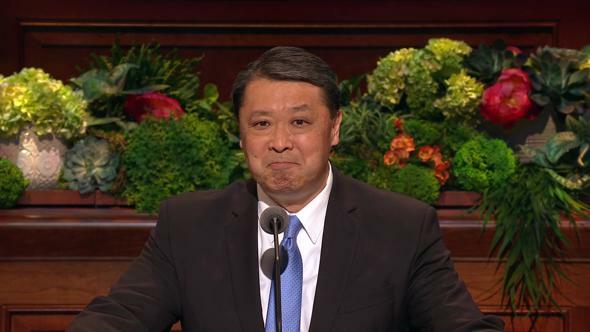 I rejoice along with everyone who is learning how to teach in the Savior’s way. Allow me to read from the cover of the new teaching manual: “The goal of every gospel teacher—every parent, every formally called teacher, every home teacher and visiting teacher, and every follower of Christ—is to teach the pure doctrine of the gospel, by the Spirit, … to help God’s children build their faith in the Savior and become more like Him” (Teaching in the Savior’s Way ). Right now, thousands of our faithful teachers hold up a light as they learn how to teach in the Savior’s way. 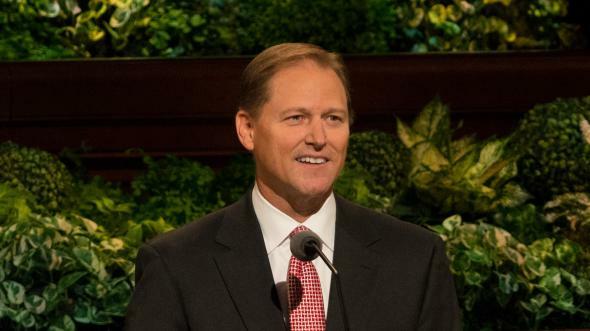 In this context the new teacher council meeting is a way to rise and shine as the students meet around the standard of the doctrine of Christ, for “the key to teaching as the Savior taught is to live as the Savior lived” (Teaching in the Savior’s Way, 4). 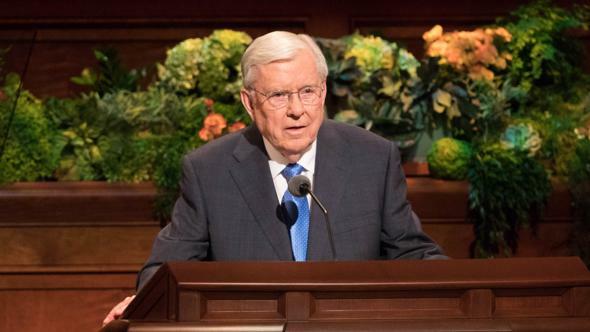 As we all teach and learn in His way and become more like Him, our light shines brighter and cannot be hid and becomes a standard to those who are looking for the Savior’s light. My dear brothers and sisters, we should not and must not hide our light. Our Savior commanded us to let our light shine like a city on a hill or like a light from a candlestick. As we do so, we will glorify our Father in Heaven. The Savior’s gospel and His restored Church give us many opportunities for our light to be a part of the great standard for the nations. I testify that Jesus Christ is the light that we must reflect, in the name of Jesus Christ, amen.